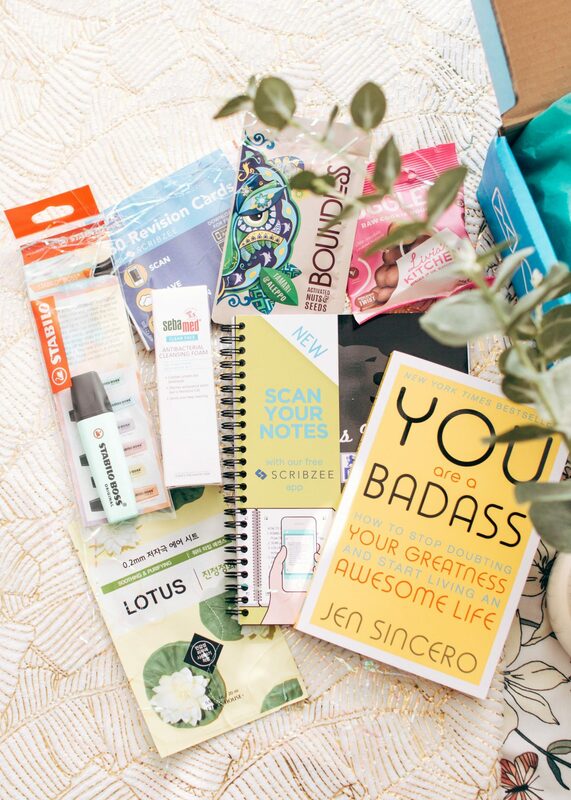 Its that time of the month again, when I get to share whats inside this months Unibox. This is the ‘exambition edition’, based all around exam season and making sure you feel relaxed and prepared for it. Thankfully my exam days are well and truly over, as my degree is 100% practical work. However, this doesn’t mean I don’t have deadline stress, so this box is still gonna come in handy! I got way too excited when I opened up the box and saw this, as I love a good book. 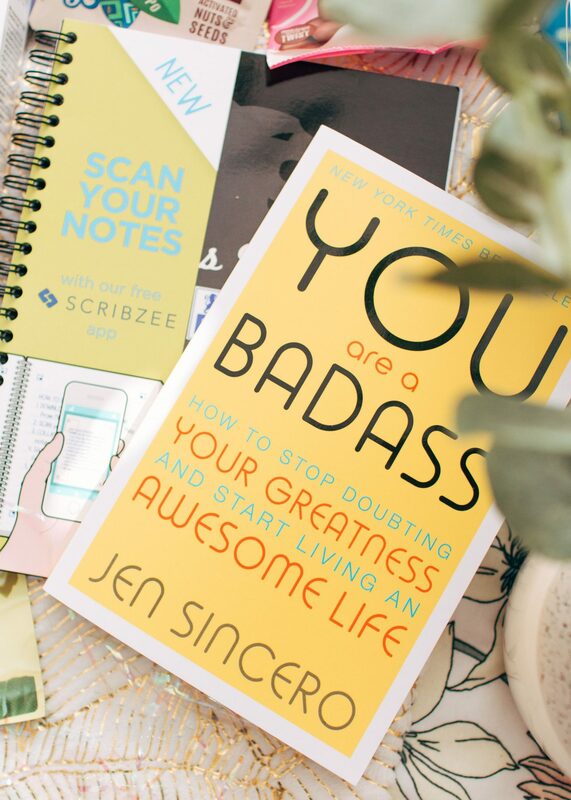 It’s ‘You are a Badass‘, by Jen Sincero. As I’ve mentioned before, I somewhat lack confidence. Especially when it comes to uni work, I always end up comparing it to others and in-turn, get upset about the fact that mine might not be good enough. So hopefully this book will help me to believe in myself a little more! These two bits are definitely for those uni students who are headed towards exam season and need something to help them along the way. I mean, I’m pretty thankful that I’ll never have to use revision cards again haha, so I’ll be passing these on to someone who needs them. Although, there is a cool feature with these, I believe if you download a certain app, you can scan in your notes and have them on your phone too, so handy! I’m a stationery addicted, through and through. I can’t help it, I just love buying it. I love the Stabilo pastel highlighters as well, I’ve used them for a few years now and they’re much more aesthetically pleasing than regular highlighters. Despite not needing them for revision notes anymore, I do use them for highlighting key quotes for essays, so still comin’ in handy! Can you ever have enough face masks? (The answer is no). More recently, sheet masks have become all the rage and I’m totally here for it. They’re great to just pop on whilst you read a book, make yourself a cuppa or maybe even do some uni work. I can’t wait to try this one from Etude House. Another skincare related item, which will definitely be what ya need throughout exam season (pure stress)! This is the Antibacterial Cleansing Foam from Sebamed. If your skin is prone to breakouts when stressed, then this is the perfect item to add to your skincare routine. I’m certainly going to be giving this a go, as my skin seems to be having a bit of a freak out at the moment! Perhaps the best part? The snacks. 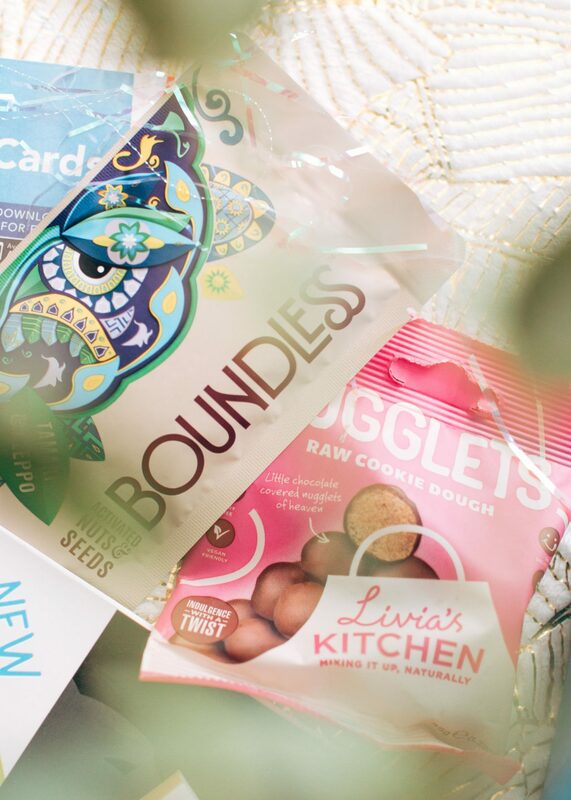 This month’s box includes some of the Livia’s Kitchen Cookie Dough Nugglets and Boundless Tamari & Aleppo Seeds. I’ve had the cookie dough nugglets from Livia’s Kitchen before and they’re absolutely delicious. The perfect snack if you want something sweet but don’t want the sugar content that comes with chocolate. I haven’t however tried the Boundless seeds. I’m not really one to choose nuts/seeds as a snack option but I suppose this will force me to give them a try!